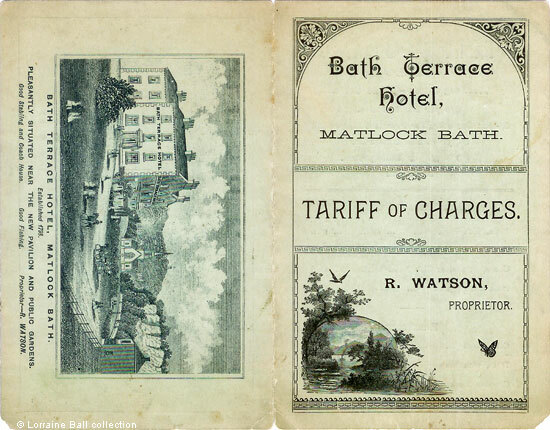 This beautifully illustrated booklet is the Tariff of Charges for guests staying at the Bath Terrace Hotel in the early 1890s. 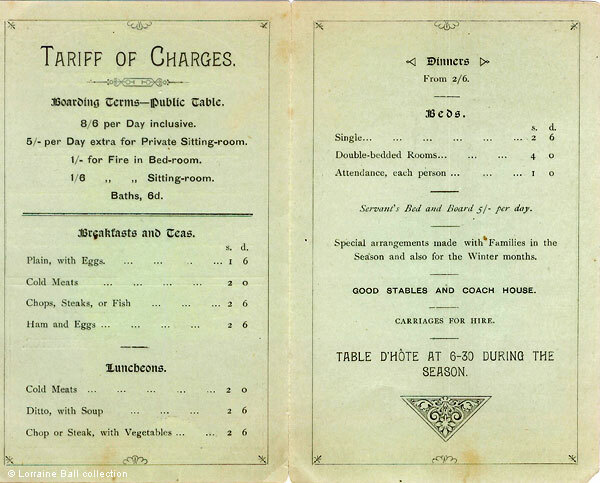 It also shows us what was on the menu. The booklet is opened out (above) to show the front and back together. and the Heights of Abraham. The hotel of the same name is on the left and Win Tor on the right. Hartle's Bazaar is hidden from view behind Win Tor. Portland House, next door to the hotel and initially called Wint House, had yet to be built. Interestingly, the extension on the left of the hotel is lower than either of the photographs of the building show. Although the engraver is unknown the image was drawn some years before the Watsons became the proprietors. 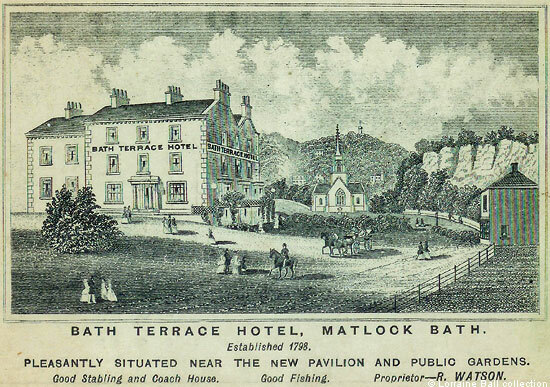 Also see Edward Bird's engraving of Walker's Bath Terrace Hotel in Hall's "Days in Derbyshire", 1863. 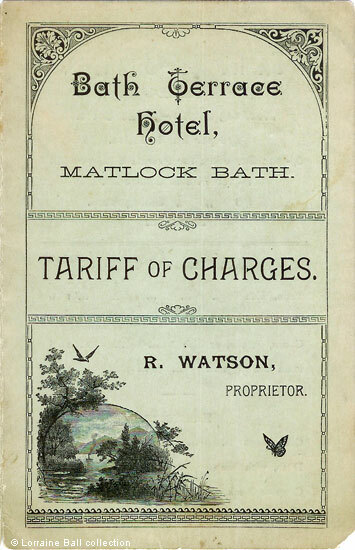 Tariff booklet in the collection of and provided by and © Lorraine Ball.